Toddler Time: Giddy Up, Partner! I passed out jingle bells and we shook them along to music from the Woody’s Roundup CD. This was a very popular theme for us. 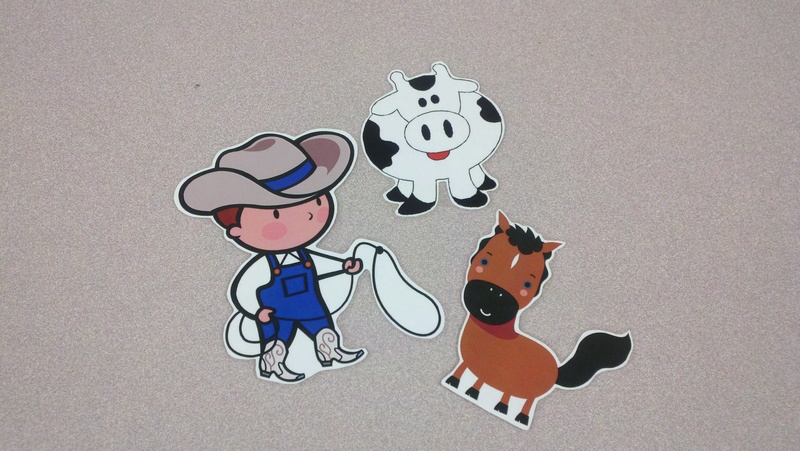 I announce the storytime theme on my library’s Facebook page a day prior to the storytime, and today we had toddlers show up wearing cowboy boots and clutching Woody (from Toy Story) dolls! I love that they dressed the part! (Granted, we are a Texas library, so maybe they just randomly decided to wear cowboy boots and bring their Woody dolls?) There was a lot of bouncing in this storytime, which I think worked well because my toddlers were so super excited that they had trouble sitting still. I had the caregivers hold their toddlers in their laps and bounce during This is the Way the Lady Rides and while we were reading Clip Clop. I think Jan Thomas’ book would work better with a preschool crowd, but it did its job today, and I’d definitely use it again in Toddler Time. 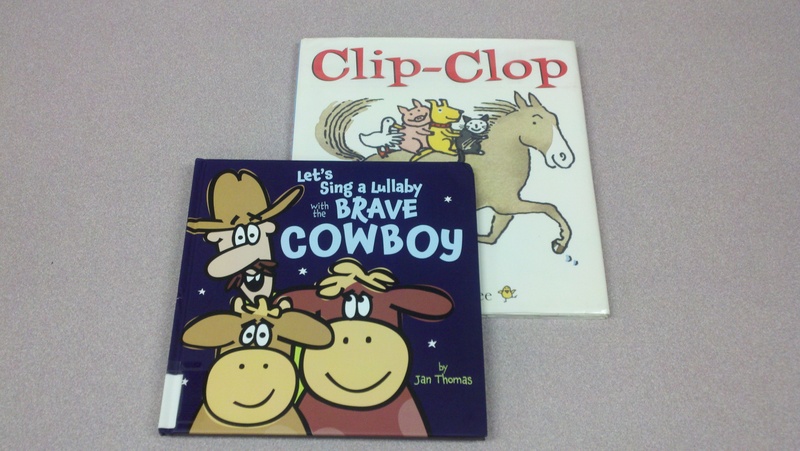 Overall, this was a great storytime for toddlers!